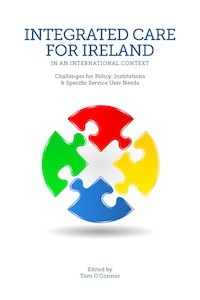 INTEGRATED CARE IN IRELAND IN AN INTERNATIONAL CONTEXT aims to bring the debate on the future of integrated care in Ireland to a wider audience than heretofore. It is intended to guide the thinking of policy-makers and the whole panoply of different health and social care professions that are stakeholders in the process. Equally important, it is hoped that groups representing the needs of the general population, those with disability, mental illness, older people with specific needs and others also will benefit from the text. The whole project is to improve the overall health and wellbeing of all who live in Ireland. It is hoped also that this publication will be a spur to the further development of research and teaching in the area of integrated care, as well as being a catalyst for the resourcing and implementation of improved public policy in the area. As such, this book will be important to students and lecturers across the disciplines of medicine, social work, social care, gerontology, addiction, health management, lawyers in health and human rights areas, mental health therapists and other sister professions that are not included here, such as occupational and speech / language / auditory therapies.